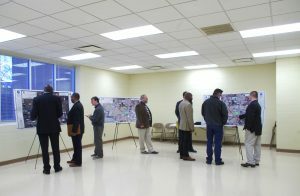 DAVENPORT was selected by the City of Winston-Salem to conduct a study to determine the feasibility of a new roadway alignment from the intersection of Indiana Avenue / Akron Drive to Reynolds Boulevard / Shorefair Drive. 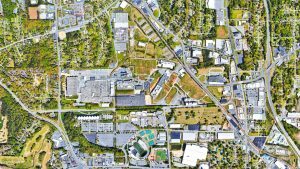 The purpose of the roadway is to create a better connection with US 52 in order enhance re-development opportunities for the former RJR Whitaker Park Plant. The Whitaker Park Development Authority (WPDA), a non-profit organization, has been tasked with assessing potential re-development of the site. After a commissioned study in 2012 by the Urban Land Institute, recommendations were made to construct an “architecturally significant” bridge over Indiana Avenue and the Norfolk Southern Railroad Line to provide direct access to US 52. DAVENPORT’s study includes examining a grade separated crossing–either above the rail line via a bridge, or under the rail line with the railroad being constructed on a trestle. DAVENPORT’s work includes development of up to five alternatives, environmental screening, traffic data collection, traffic forecasting, capacity analysis, alternatives evaluation and recommendations, public involvement services, and the development of a feasibility study report.